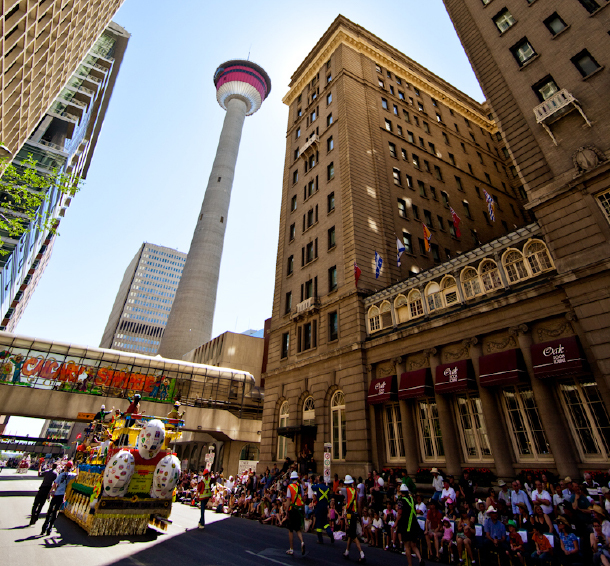 The Stampede Parade has been a light-hearted celebration of our community and western values for more than 100 years. 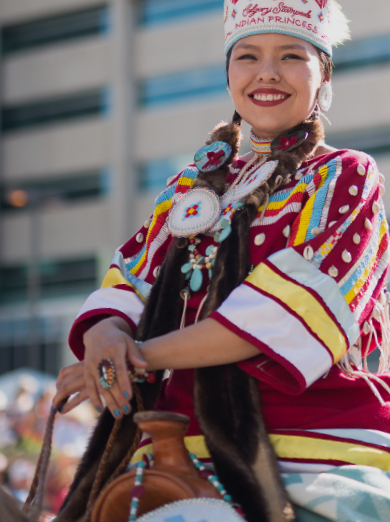 Parade entries are selected based on the value they bring to our audiences and are always family-friendly, entertaining, inclusive and inspiring. Parade form-up takes place at the east end of downtown. Horse entries form up on the grounds of Fort Calgary. Floats, bands and all other entries are put into parade order in the area between 6th and 3rd Streets S.E. and between 7th and 5th Avenues S.E. Your section coordinator will advise you of exact directions close to parade day. Most entries arrive in the form-up area on the Thursday evening before the parade. Security is provided overnight. If you are arriving the Friday morning, please note that all streets in the downtown core are closed at 7:30 a.m. Roads are barricaded and no one (not even late parade entries) are allowed through. In addition, there is no parking in the form-up area, so make other arrangements for support vehicles. 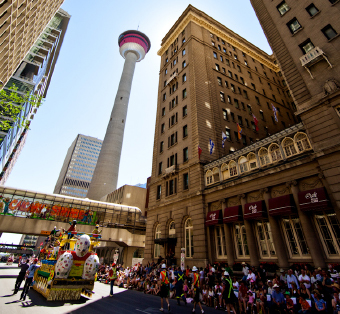 The parade route covers 4.5 kilometers from its starting point at 6th Avenue and 3rd Street S.E. to the official finish line at 9th Avenue and 4th Street S.E. We take more than 4,000 people, 700 or more horses, 50 motorized vehicles (where frequently the driver’s vision is limited), and many groups dancing, walking, riding, waving and yahooing. We funnel all these elements down a narrow corridor crowded with 350,000 people (many of them children). Common sense says we need to have adequate rules and regulations to make sure everyone has a safe and happy experience. 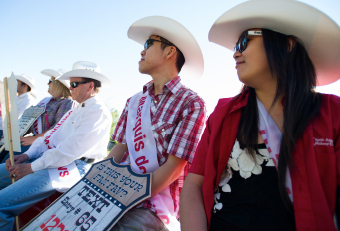 All Entries approved for the Calgary Stampede Parade MUST provide a Certificate of Insurance as evidence that insurance is maintained for your Entry and all your Entry Participants. This includes: (1) Comprehensive General Liability ("CGL") insurance with a minimum limit of $2,000,000 for each occurrence and (2) if vehicles are used in your Entry, Automobile Liability Insurance with a minimum limit of $2,000,000. 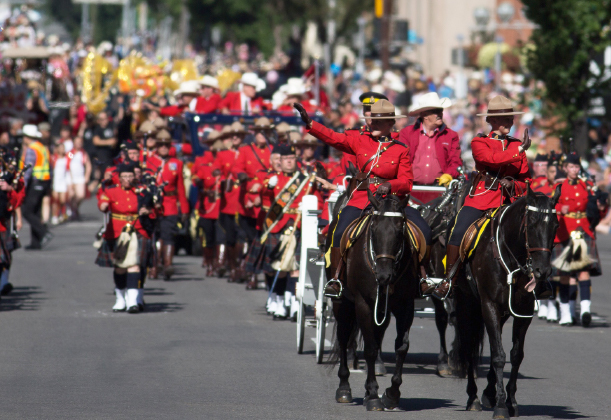 Your Certificate of Insurance must be provided by June 1 of the current parade year. 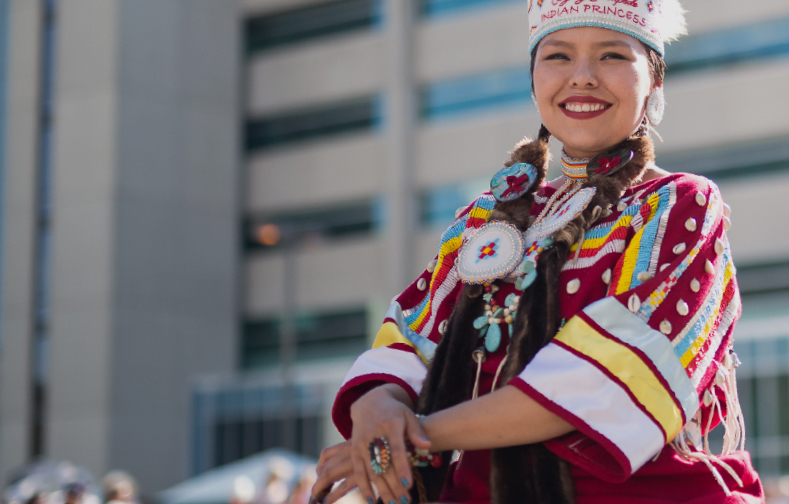 Your CGL insurance must name the Calgary Exhibition and Stampede Limited, the Fort Calgary Preservation Society and the City of Calgary as “additional insured”. If you do not have the appropriate insurance please contact your insurance broker or contact: Eddie Fung or John Rowe at BFL Canada Inc., #200, 1167 Kensington Crescent NW, Calgary, AB T2N 1X7 Phone: (403) 451-4132 or Fax: (403) 313-3365. 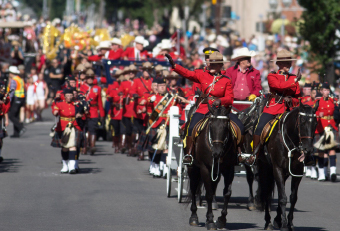 This agency has agreed to handle insurance for our Calgary Stampede Parade Entries. All Stampede Parade applicants and entrants must review our comprehensive parade manual, which tells you everything you need to know to get the show on the road.